PhoneHK 討論區 - Motorola - Motorola to release 8 devices by X'mas...? - powered by Discuz! PhoneHK 討論區 » Motorola » Motorola to release 8 devices by X'mas...? 標題: [新聞] Motorola to release 8 devices by X'mas...? Motorola to release 8 devices by X'mas...? Our sources at Motorola have dropped another bombshell on us. Moto plans to drop 8 devices on us between now and Christmas. Verizon getting the lion share of these devices….. Or are they? Our sources state that just like AT&T got a RAZR like device a couple years back, We could see the Droid and the Droid Turbo on AT&T under a different banner. Also One of these DROID devices is also tied to a Star Wars promotion according to the source. And finally in another twist, According to the source, The X Play could be a Mini Moto S. Or If X+1 sales fail or if other things happen (cant yet speak on this) Then the 5.9 Moto S could get canned and the X Play would become the Moto S.
Looks like "X+1" & "G2" will be announced later this week, along with Moto360 and other blue tooth accessory. Not sure if that counts as 4 devices. Then the 3 Droid devices - probably in the USA only, for Verizon? Not sure when. Finally the Nexus device - by Google. Maybe around Christmas? Anything will be better than having zero new device! Just not sure if or when this Moto S will be launched. Then Moto S / Moto X Play? 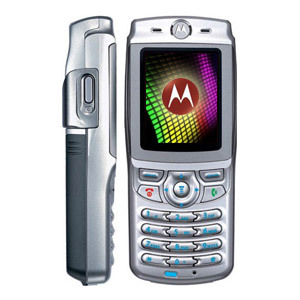 Big question - for me anyway - is will there still be a Nexus by Moto (Shamu)?! Shamu - potentially a Moto phablet? Or yet another Nexus device besides the new HTC one...? Will be on the look out for Moto (or Google?) announcment sometime in October for release in November (US only?) Sure hope this will be available in HK. Will this be the Nexus phone to be announced in mid-Oct? More $$$ to spend this Christmas if that is true.. Daydreaming! Very good point about tablet C-Hing. I am not familiar with tablets and it may be a better choice than N6 but I have no idea. As for Moto's tablet, I guess Lenovo already makes fairly good ones so maybe Moto will sell tablet with Lenovo's design? My MotoG is okay too, but hoping to try a bigger screen - not really sure 5.9" is enough and will have to wait and see. The other reason I am interested in this is simply a new Nexus device may arrive earlier in HK than new Moto X.
Glad to hear/see 2nd Gen info on X & G now on the HK Moto site. Keeping my fingers crossed about Nexus 6 in HK too in future. Very attractive indeed, but being "Droid" means it will not be available outside of USA (Verizon)? And it's 4 weeks to Thanksgiving.... 8 weeks to Xmas! With Droid Maxx (Brazil/Int'l version) & Moto X Play (AT&T/T-mobile) appear to be variants of Droid Turbo, we may be down to only 2 devices! Will this DROID be a lower-spec version of Droid Turbo? Or is this a special promotion droid edition for STAR WARS?! ?